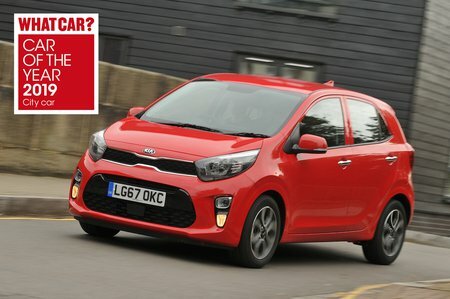 Kia Picanto 1.25 3 5dr Auto 2019 Review | What Car? What Car? will save you at least £680, but our approved dealers could save you even more. This has everything you could realistically need while still remaining relatively affordable. The equipment bonanza includes 15in wheels, power-folding door mirrors, climate control, cruise control, rear parking sensors, a rear-view camera and a sliding front centre armrest. In addition, you get a great infotainment package with a 7.0in touchscreen, smartphone mirroring and sat-nav with live traffic updates, plus added safety with automatic emergency city braking. The best compromise between power and price. Not only is it much more comfortable with motorway work than the entry-level 1.0-litre, it’s smoother, too.